It is not uncommon for residents in New Jersey and other states across the nation to obtain a loan to help fund a major purchase. Whether it is a home, a vehicle, their education or a business venture, a loan is very helpful. Although useful, these loans could be considered a major debt and could lead to financial troubles if the individual does not take proper actions to guard against such liabilities. Even when an individual takes the necessary steps to protect themselves, financial problems, such as unemployment, could occur. This could cause the individual to consider filing for bankruptcy. 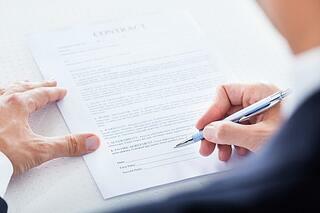 When it comes to obtaining a loan, many seek a co-signer to ensure they obtain the loan. This could lead to some concerns for the co-signer, especially if the owner of the loan decides to file for personal bankruptcy. For many co-signers, they question whether any protections will be extended to them if the holder of the loan they co-signed for files for bankruptcy. With regards to a chapter 7 bankruptcy, debt collectors are halted but this protection is not extended to the co-signer. The credit of the co-signer could be jeopardized if they do not make good payment on the loan. On the other hand, when an individual files for chapter 13 bankruptcy, more safeguards are provided for the co-signer. A repayment plan is crated for the debt and therefore is not just thrown into the lap of the co-signer. Because there are additional loopholes as well as pitfalls in this situation, it is important for both the loan holder and the co-signer to understand the stipulations and possible liabilities that are involved in the situation. When dealing with debt, there is always a chance that an individual could encounter financial hardships. This might cause them to seek debt relief and file for bankruptcy. Filing for bankruptcy is a difficult decision to make and it should not be made without understanding the process and the possible outcomes. Seeking guidance and assistance in the situation is not only helpful but would also ensure that they are making a knowledgeable choice about their economic future. Contact us for guidance from a consumer bankruptcy attorney today. Source: Los Angeles Times, "Filing bankruptcy? How to protect loved ones who cosign loans"